Thought I'd get a little practice with a Just Images category. Hopefully this is a broad and fun quiz. 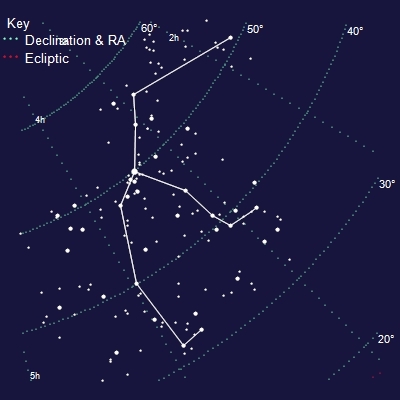 If you've been watching the night sky this past weekend, you may have spotted the meteor shower appearing to radiate from the constellation seen here of what mythological figure? 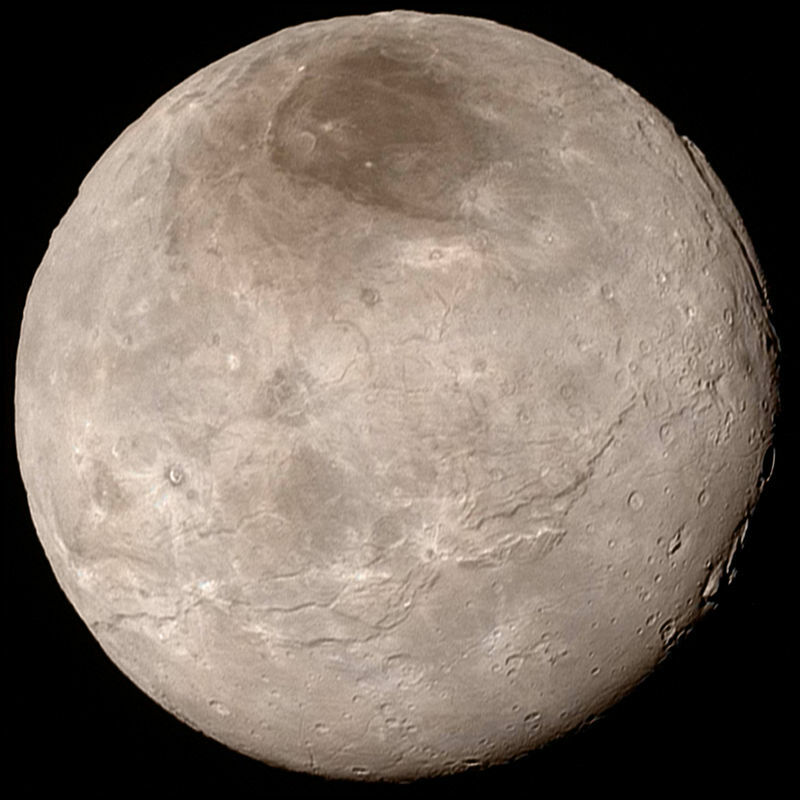 Thanks to the New Horizons spacecraft, we have a much clearer image of this shown moon of Pluto whose name is shared with a mythological ferryman. Name the actor whose character fired the fateful arrow in this scene. 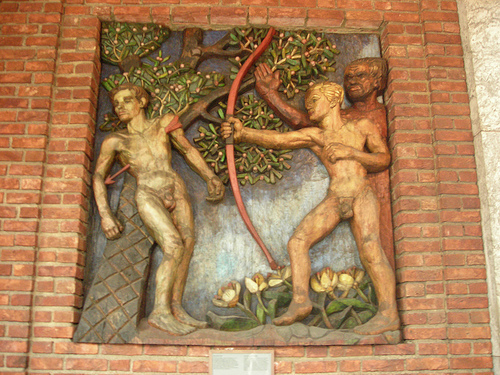 The death of what (apparently not invulnerable) god is depicted here in a wood carving at Oslo City Hall? 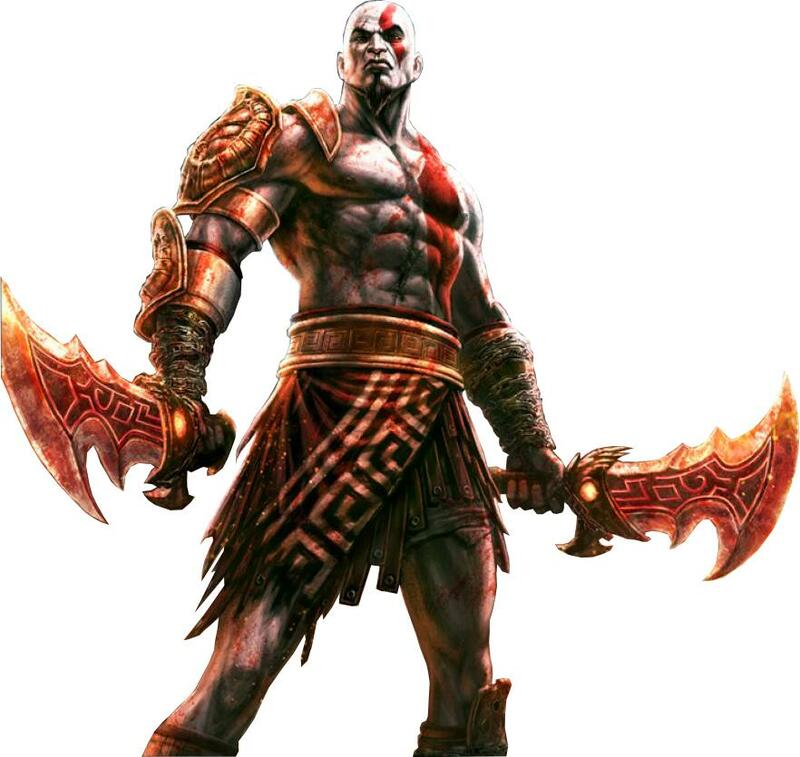 His death is the first event that will lead to Ragnarök. Seen here is a redacted poster for what 2009 Canadian film about a group of Celtic, elven, and Viking themed live action role-players? The title (and major plot point) references an ominous event in which a group of ghostly Jäger, lead by Odin, are unexpectedly witnessed in hot pursuit of unseen game. The event is thought to presage war, plague, or the death of the witness. 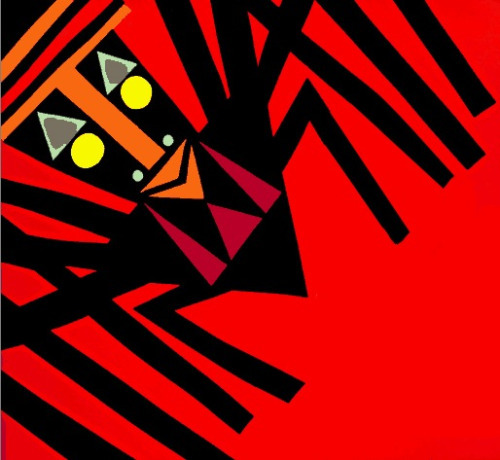 Seen here is a stylized image of a figure from West African and Caribbean folklore. Two of his sons are central to what Neil Gaiman spinoff novel of American Gods? 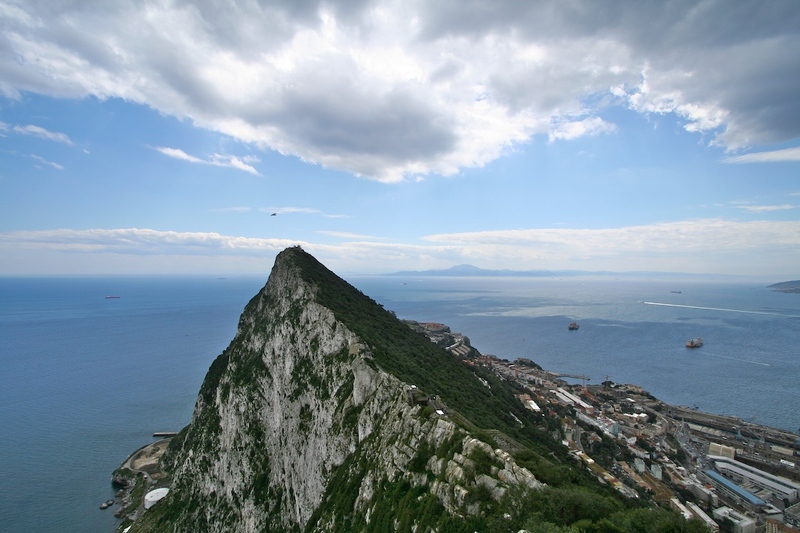 According to legend, who created this promontory (as well as another peak on the opposite side of the Strait of Gibraltar) in order to liberate Atlas from his obligation? 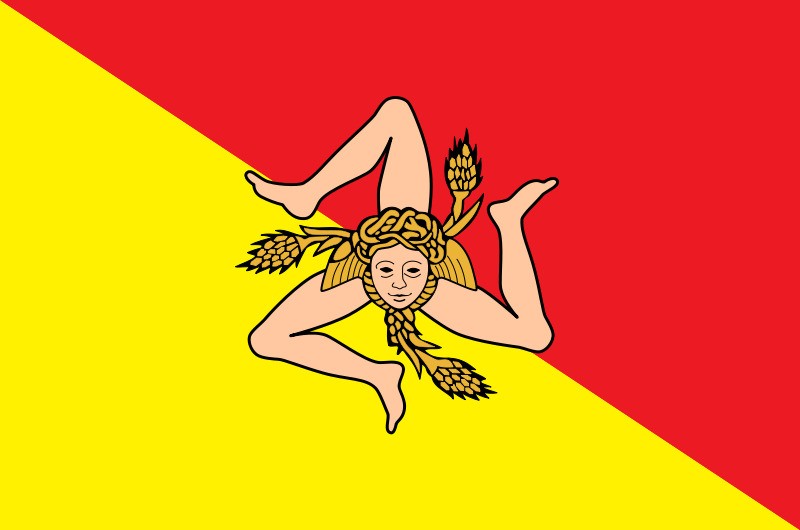 Depicting the head of Medusa in the middle, the flag of what region of Italy is seen here? 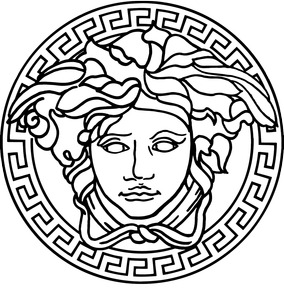 Speaking of Medusa, what fashion company's logo is seen here? 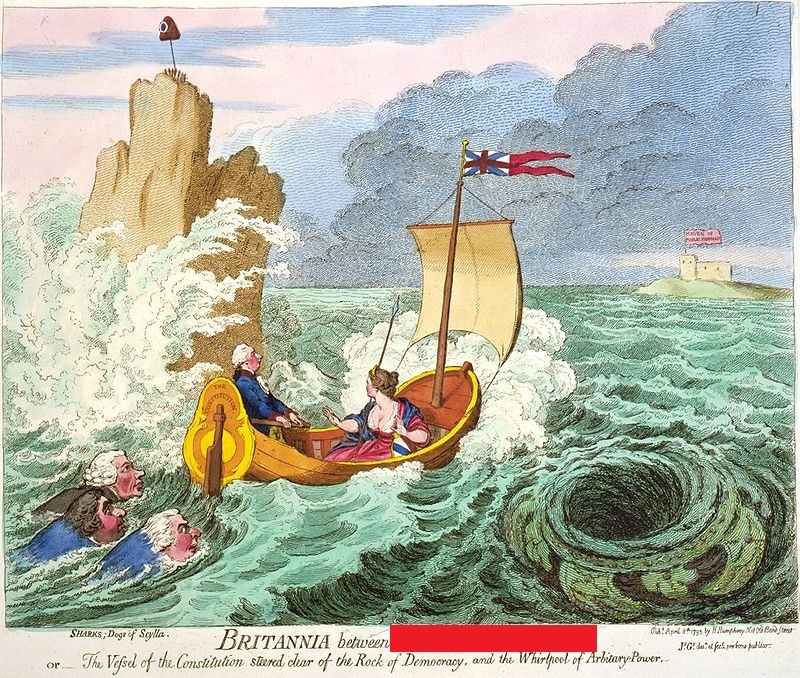 Complete the title redacted at the bottom of this 1793 political cartoon which references an epic idiom that meaningfully varies from the idiom "between a rock and a hard place"
In the first installment of his video game series, who is the depicted character on a mission to kill? 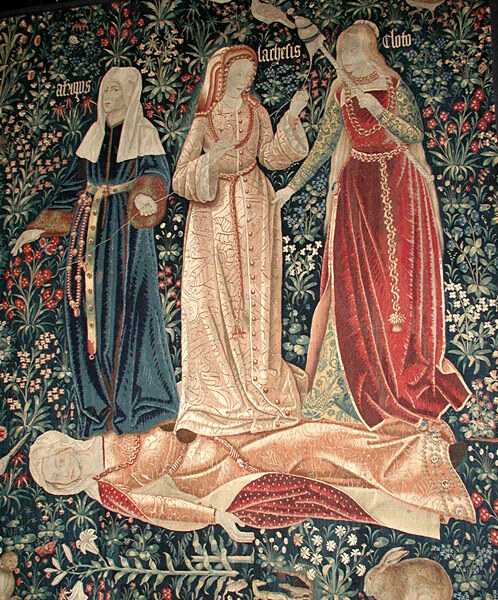 Seen in this tapestry are Clotho, Lachesis, and Atropos. What are these three women collectively known as?